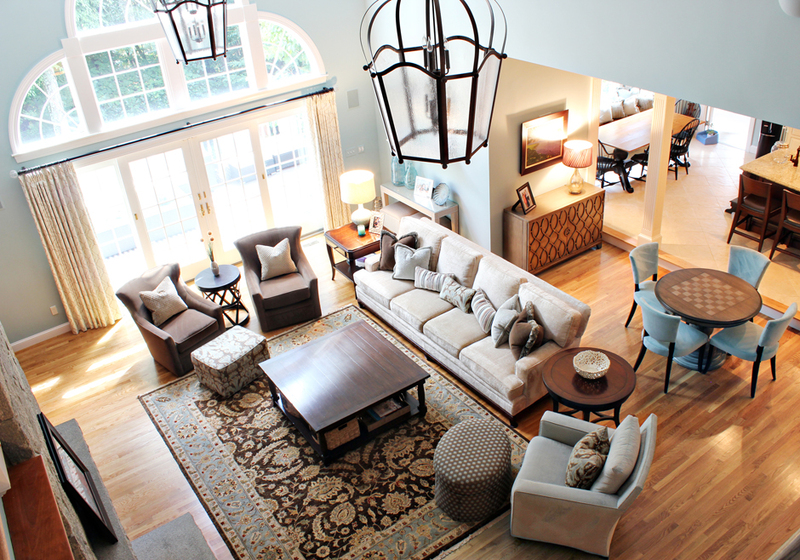 Above: This oversized, two story transitional family room is made cozy through soft furnishings and anchored by a King sized rug. The dramatic scale of the room dictates the scale of the furniture. The serene wall color is echoed in the luxe fabrics and pillows on the plush sofa. 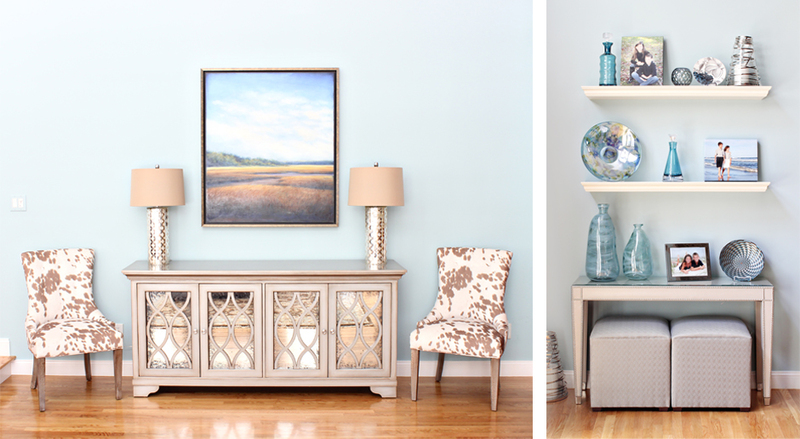 Left: Faux Palomino hide chairs flank a custom sideboard in metallic paint with antiqued mirror doors. The serene landscape was painted by Margaret Gerding and is from the J. Powers Gallery. Right: This custom built console by Kravet is wrapped in faux ostrich skin and finished with a nail head detail. Custom upholstered ottomans are easily accessible for additional seating. Left: An oval ottoman sits on casters, ideal for ease of movement and flexible seating. Right: Lavish throw pillows feature luxurious cut chenille fabrics and opulent trims.